The above late work from 2009 plays on the physics of photography using the title of Alfred Stiegleitz’ Camerawork magazine of the early 1900s. Camerawork helped establish photography as an art form and was arguably an ancestor to Charlesworth’s own practice as a photo media artist. 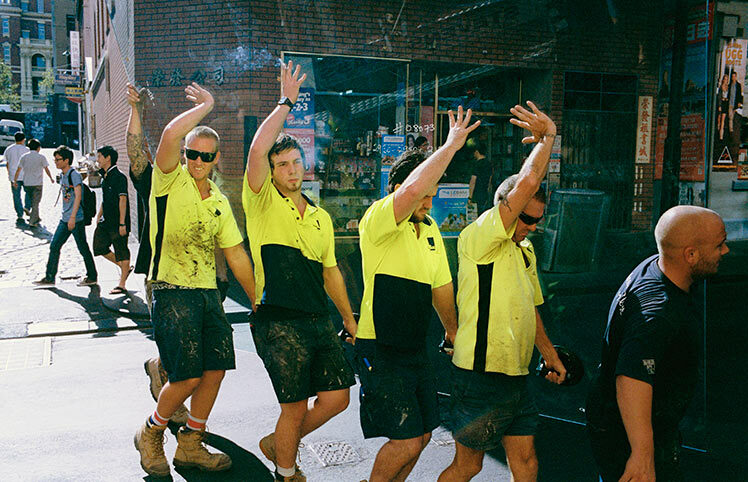 Melbourne photojournalist Jesse Marlow has a new book out, Don’t Just Tell Them, Show Them. Marlow is one of that rare species, the nimble street photographer who finds humour and pathos in the fleeting events of everyday life. What we barely register, he captures in concise pictures of patterns of human behaviour. Street photography as a mode has increased in prominence in recent years, a revival after the glory days of the 1960s when giants walked the earth, Winogrand, Friedlander, et al. Marlow, and another Melbourne photographer Louis Porter, work in a city that doesn’t have a street-life culture, unlike Cartier-Breson’s Paris or Winogrand’s New York. Thus their achievement is all the greater. Like Porter, Marlow is essentially a humourist as you can see from the dancing glaziers above. The book was designed by M.33 and designed by Jason McQuoid, co-proprieter of the Edmund Pearce Gallery, It’s available from bookshops now or from Jesse Marlow’s website. 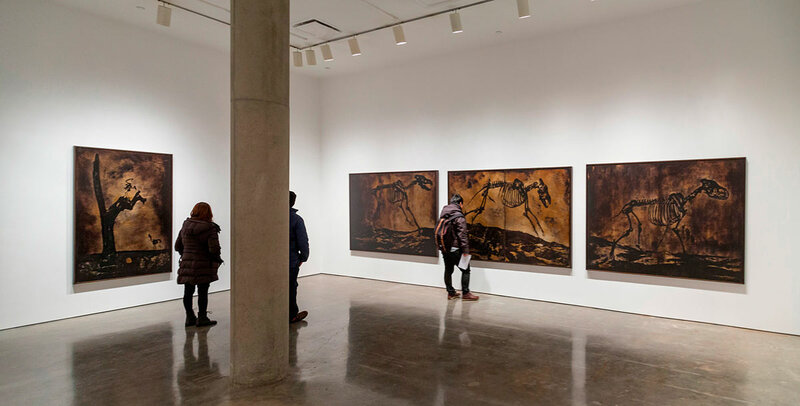 Matthew Brandt’s Dust series shared the Yossi Milo Gallery with his La Brea series in the recent exhibition Excavations.These works were made with a similar antique process and arduous procedure. Paying a kind of hommage to New York’s lost buildings, he collected dust from the site of long gone structures such as the old Madison Square Garden demolished in the 1920s. He sourced photographs of the demolitions from the public library and proceeded to make Gum Bichromate prints from them. This process is a cross between photography and printmaking and was popular in Pictorialist times. Brandt’s process differed from earlier versions because instead of using colour pigment to make the prints, he used the dust he had collected. 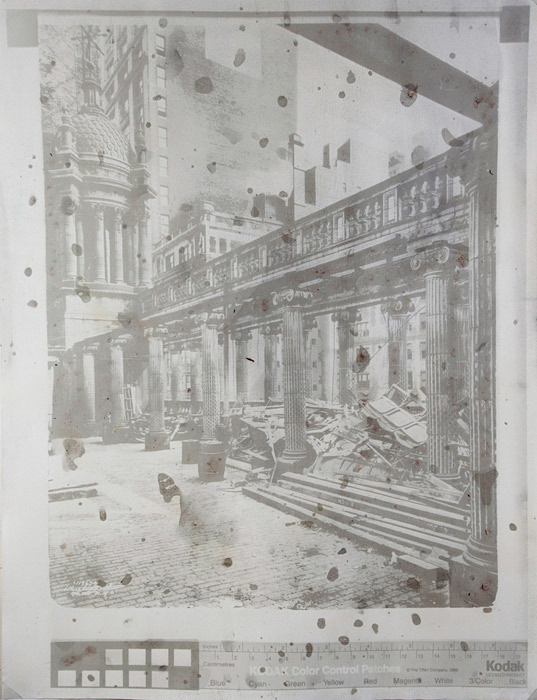 Brandt’s Dust prints compress time by reproducing historical photographs of demolished sites and buildings with physical elements from the present. Have you noticed how much abstract photography is out there these days. Not so long ago it was a very marginal category, an interesting but barely explored region. Today it’s in the vanguard of the avant-garde, an urgent issue for what is usually taken to be a representational medium. It’s interesting to see how the abstract idea works in photography. Unlike painting, in photography you can’t really apply the lines and forms by hand, deliberately placing brushstrokes exactly where you want colours and lines to appear. Think of Kandinsky and Malevich, the two Russians who invented abstract art. In photography, you capture what is already there and try to make formal sense out of it by camera position and placement within the frame. Well, that’s what I originally thought, but some contemporary photographic artists are challenging that notion. 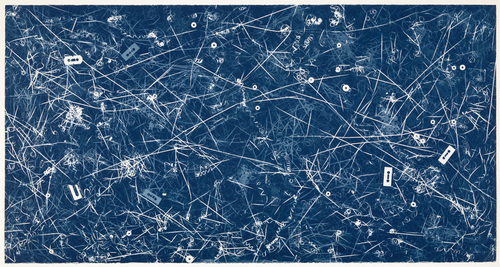 The Christian Marclay cyanotype above resembles a Jackson Pollock drip painting but it’s not made of paint but audio cassette tape. “Marclay unwound the spools of old cassette tapes and proceeded to “draw” with the reams of tape. Marclay creates a labyrinth of lines, all tracing a distinct musical history that becomes abstracted on paper.” It’s displayed in the MoMA exhibition A World of Its Own: Photographic Practices in the Studio. The recent exhibition at the International Center of Photography was called What is a Photograph? 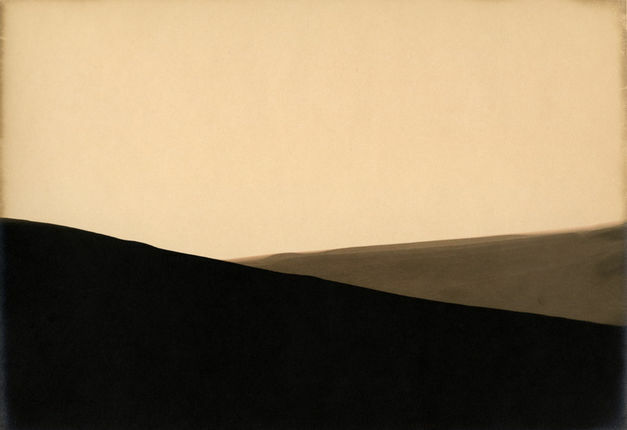 and it took on this growing phenomenon of abstract photography, amongst other challenging modes. These three artists caught my attention. Alison Rossiter finds very old packets of photographic paper on ebay and in markets, some are 100 years old. 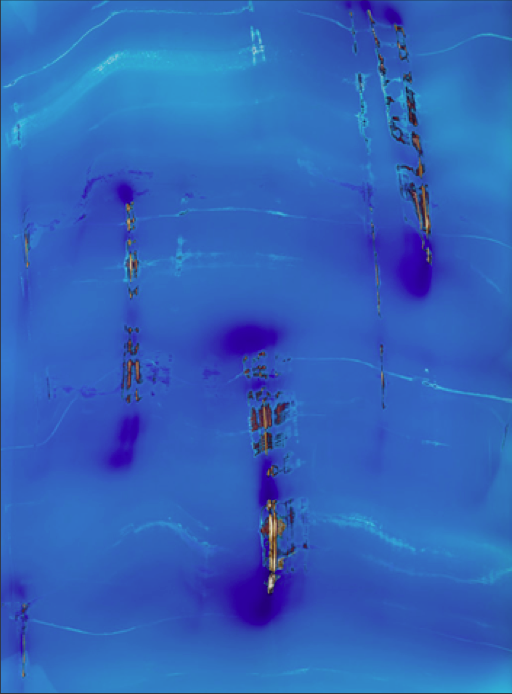 She applies developer locally, ie not by submerging the paper, and the results are beautiful abstracts with antique tones and interesting flaws caused by their age. Some resemble landscapes. 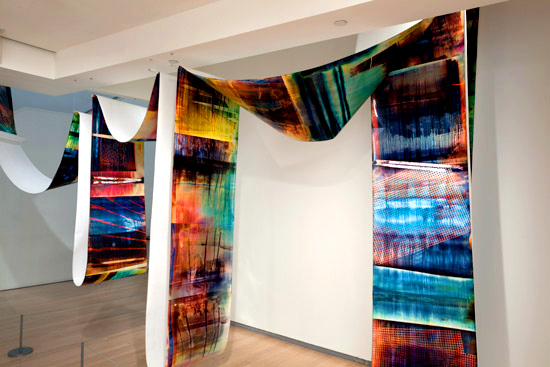 Marco Breuer uses C-type (chromogenic) colour paper and tortures it by scratching, burning and sanding. The results are simple but rather pretty abstracts. Mariah Robertson has the most extreme technique, both physically difficult and potentially hazardous. She uses rolls of chromogenic paper in her Brooklyn darkroom. Zipped up in a biohazard suit and with an oxygen mask she creates photogram and light effects which she processes through a machine into extremely long colour prints. They are so long that in the gallery they have to be hung in loops from the ceiling and coiled on the floor. 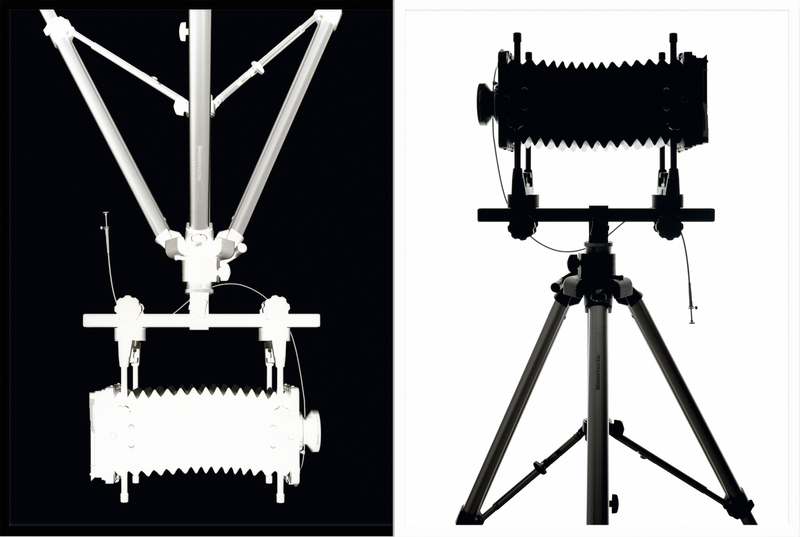 Yossi Milo Gallery is one of New York’s leading galleries specializing in photography. It’s most recent show was Excavations by Matthew Brandt, made of two projects, La Brea and Dust. 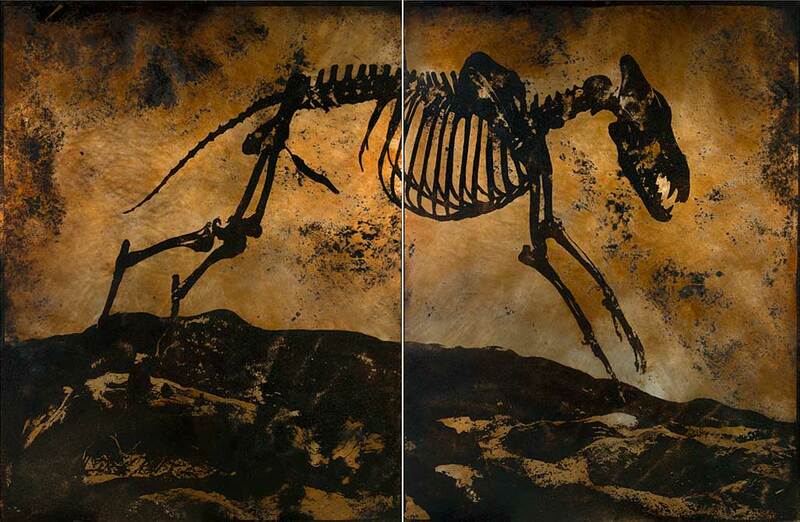 The La Brea series features large pictures of prehistoric skeletons, the one above like something from the apocalypse. 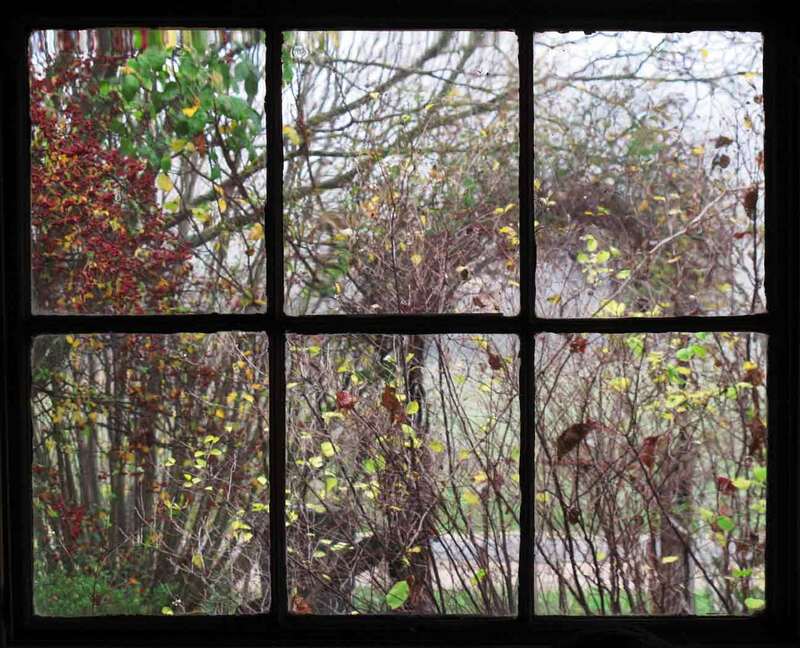 Brandt has revived the oldest photographic technique, the heliography process devised by Niépce in 1826 to make that view from the farmhouse window regarded as the oldest surviving photograph. This technique was not silver-based but used tar, bitumen of Judea, as the light-sensitive medium. The La Brea tar pits in Los Angeles is a natural formation of underground tar welling up to form a small lake, it’s black and bubbles with gas as you watch it. Prehistoric bones were found preserved in it and are mounted in a nearby museum. Brandt photographed these displays of sabre-tooth tigers and the like, and made large transparencies – very large. Then he collected tar from the tar pits, coated large sheets of aluminium, laid the transparencies over them and left them in the L.A. sun. It’s not stated how long Brandt left them to bake, but Niépce took eight hours. After washing them to remove the soft tar, only the sun-hardened parts remain, “leaving an image of the fossil created from its ancient remains”. 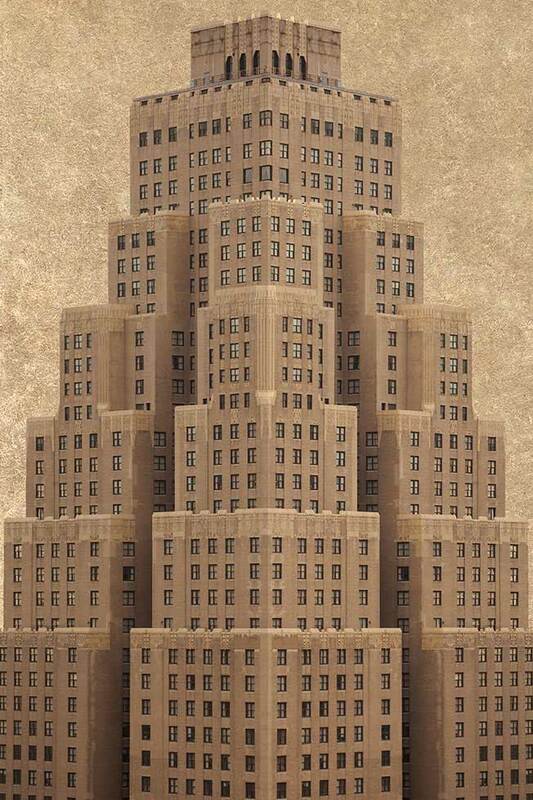 Clampart, in New York’s Chelsea gallery district, is showing photographs that look like architectural renderings. Marc Yankus has switched from his soft focus cityscapes to make extremely detailed building “portraits” – so detailed that individual bricks can be picked out in a thirty-storey building. While he shoots in New York, he avoids the cliché skyscrapers and goes for more humble, but still worthy, old buildings. The extreme clarity is offset by a subdued earth-tone palette and rather heavily textured skies. The effect is decorative but still impressive, in the style of Art Deco renderings.